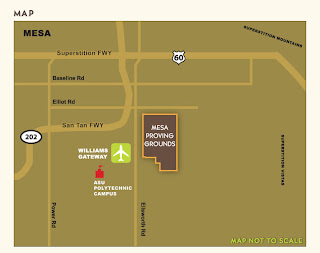 Because so many of you live in the east valley, I thought you might like some more information about the changes occurring at the “proving grounds” and the surrounding “Gateway” area. In the past, I have written about some of the changes coming to the Gateway Area and have been telling people about some of these projects for quite some time. Of course, we will continue to watch this and many other parts of the valley that I believe have good growth potential in the future. The housing options in the surrounding area of the Proving Grounds and the Gateway Area are many. From condos, to large homes, modest homes and horse property, you can find em’ all.. Should you be interested in taking a look around, or know of anyone that might be interested, please feel free to “Just Call Nick!” or visit our web site at NickBastian.com.